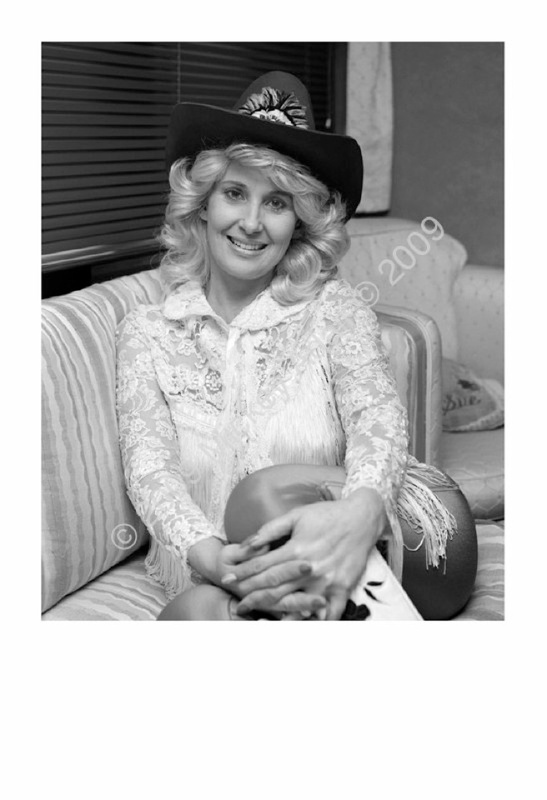 Tammy Wynette performed at the second and last annual Tallahassee Country Music Festival at the North Florida Fair Grounds in 1982. I stood for ten hours between two idling tour buses breathing diesel exhaust. Her husband/manager kept telling me she was going to allow the portrait. When I heard her being announced on stage the bus door opened and was told I could come in. The kind of camera I use definitely isn't for use in such cramped quarters. She was perched on a bench and the only way I had to light her was to put an on-camera style flash on my view camera and bounce the light off the ceiling between two rows of cabinets. I had no idea if it was going to work out but it did. Then she was up and off to the stage. It's one of my favorites.